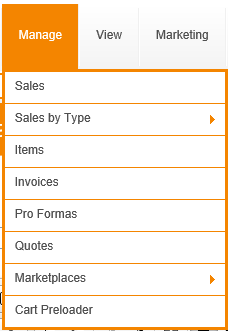 Using Sellr, you can create and send invoices, quotes, pro-formas and receipts to your customers. All these document types are managed in the Sales Manager at 'Manage'/'Sales'. The difference between invoices and quotes relates to the payment of tax. Quotes and Pro-Formas are the same thing. Typically in the UK quotes are known as Pro-Formas. Depending on your tax requirements, tax is usually required to be paid when an invoice is created (raised) whether or not you have actually received the money from the customer. To avoid this, you can create a quote instead. A quote is the same as an invoice but is simply known as a quote so does not have any tax requirements. When a quote is paid, then a paid invoice is created. Using this method, you only need to pay tax (Sales Tax / VAT) when the payment has been actually received from the customer. When an invoice or quote is created and emailed to a customer, you can have a 'pay now' button on the email to facilitate the payment.